James McDonough, DDS is passionate about providing his patients thorough, effective care. Our doctor and staff provide various procedures within a patient-focused approach to restore your smile’s beauty and health. Wollaston Dental Group – James McDonough provides comprehensive dental care to patients in Quincy, Milton, Braintree, Dorchester, and the surrounding communities. Dr. McDonough provides comprehensive dental care to our patients; this means we provide as much care as possible in our practice to help you get the smile you need. This includes several aesthetic dental procedures as well, so we also provide cosmetic dentistry at our practice. From the moment that you walk into our dental office, you will know that our doctor and our staff cares about your comfort and needs. Everyone in our practice is smiling and happy to see you when you visit us. We talk to you throughout the check-in process and your appointment to make sure that your requests are all taken care of at all times. Through these conversations, we build a relationship with you and get to know you personally; every time you come to us for your future dental appointments, that relationship helps us best serve you. Additionally, we emphasize teamwork, both within our practice’s staff and with the specialists we refer out to, so that everyone pools their resources and provides you with the most effective solutions. Wollaston Dental Group – James McDonough provides comprehensive and cosmetic dental care to patients in Quincy, Milton, Braintree, Dorchester, and the surrounding communities. Our office is located in the Wollaston neighborhood of Quincy. For more information, call our practice today! 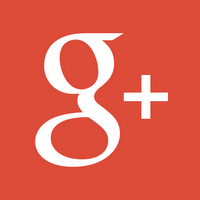 Review our Wollaston, MA dentist on social media! Wollaston Dentist, Dr. James McDonough is dedicated to excellence in general dentistry such as cleanings, restorations, and implants.